It’s really the little things I love about Valentine’s day. A bright pop of red or pink, a crayon-written note from a dear little one, some fancy chocolate, or a special breakfast to show love to my family or sweetheart. 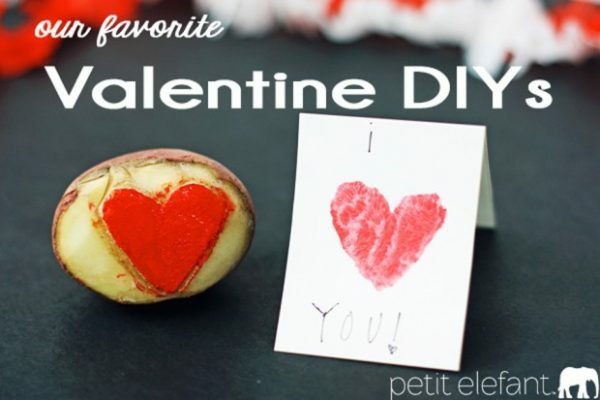 Enjoy this collection of some of our favorite Valentine DIYs to celebrate your special people. 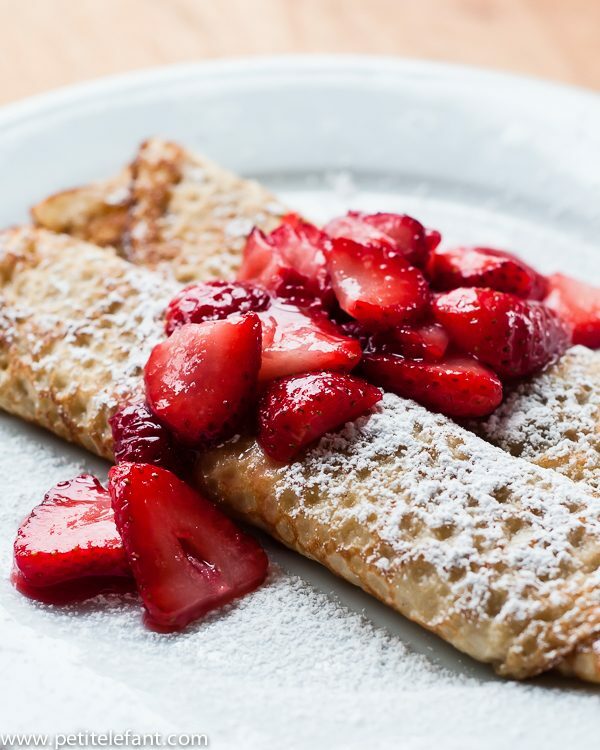 Homemade crepes with juicy red berries (strawberries, raspberries or even cherries!) are a special breakfast that shows lots of love. And they are de-lish. Valentine crafts are the cutest. And maybe the easiest. 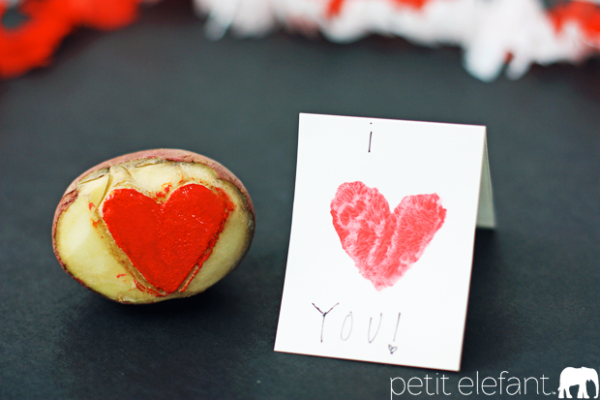 Like this little heart stamp DIY, made from a potato and fun for all ages. 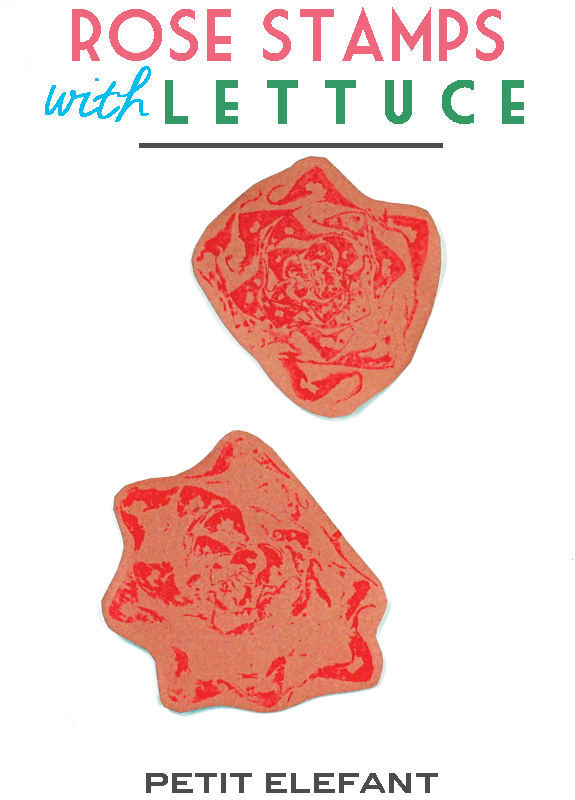 Same goes for these pretty DIY rose stamps, making great use of spare produce. Bundling up treats for the class party? Or anyone special at all. 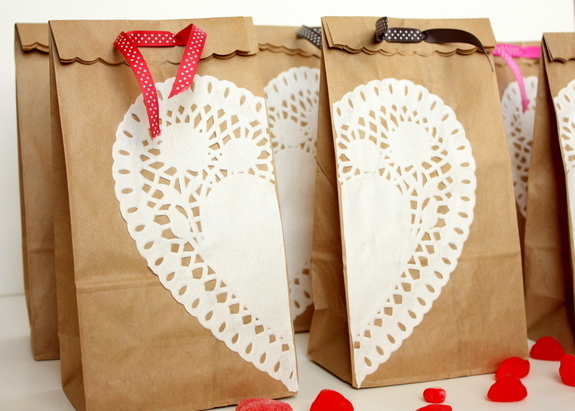 These goodie bags are cheap and very Valentine-y. 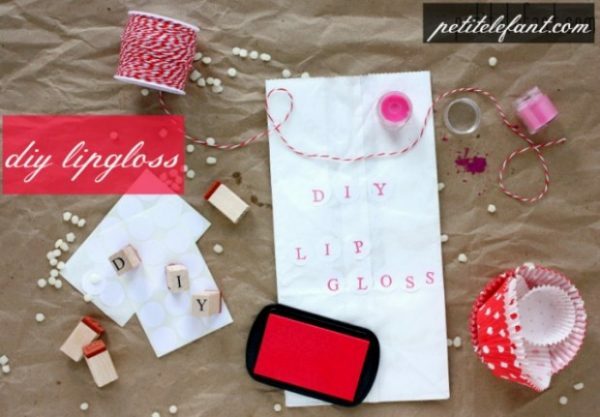 Tweens, teens and grown up gals will get a kick out of making their own lip gloss! This is one my favorite tutorials ever. 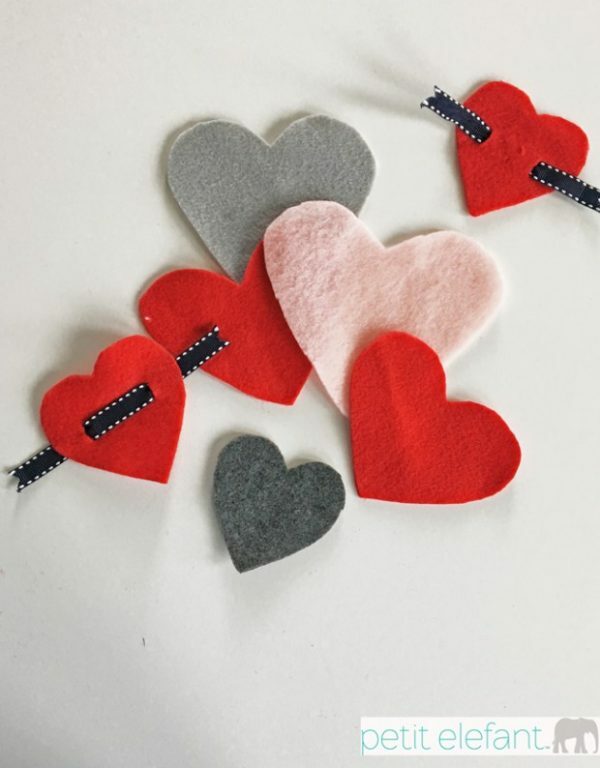 When it comes to Valentine DIYs, these felt heart pins are a heartfelt way to say “I love you,” and they can be done up a little more masculine or a little more feminine as you like. Couldn’t be simpler. 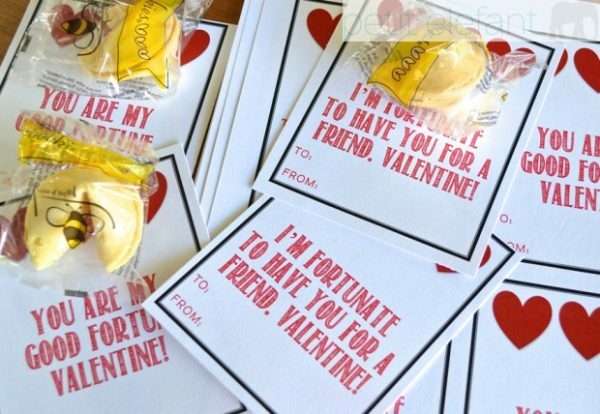 Speaking of simple, free printable Valentines for the win! Just add a fortune cookie or super cheap fortune-teller fish (or other some such). Fourth-grader approved and the ultimate last minute Valentine diy.